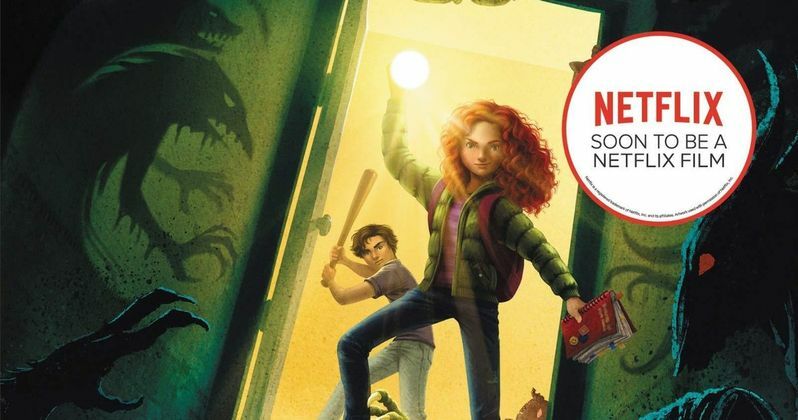 Author Joe Ballarini's children's book series A Babysitter's Guide to Monster Hunting will be adapted as a family movie for Netflix, with director Rachel Talalay at the helm. Talalay is known for directing movies like Freddy's Dead: The Final Nightmare and Tank Girl, and has helmed episodes of TV shows like American Gods, Riverdale, and Chilling Adventures of Sabrina. She'll be using a screenplay written by Ballarini, which will be based on the first installment of the three-book series from Katherine Tegen Books. Ivan Reitman and Amie Karp are producing, with Naia Cucukov, Tom Pollock, and Ilona Herzberg executive producing. The movie will follow middle school babysitter Kelly Ferguson, who's bummed to find out she'll be watching children instead of partying with her friends. Things only get worse when the baby she's caring for is kidnapped by monsters. Fortunately, Kelly is recruited by a secret society of monster-hunting babysitters banding together to protect the children of the world. Although it sounds spooky on paper, the story is family-friendly and the movie will be nowhere nearly as mature as Freddy's Dead: The Final Nightmare. Described as "The Last Kids on Earth meets Goosebumps," the book became a hit and led to the production of A Babysitter's Guide to Monster Hunting #2: Beats & Geeks and A Babysitter's Guide to Monster Hunting #3: Mission to Monster Island. Not counting the crossover movie Freddy vs. Jason, Talalay's horror sequel Freddy's Dead: The Final Nightmare serves as the last Nightmare on Elm Street movie. It concludes the story of Freddy Krueger by revealing he's killed nearly every child in Springwood, finally meeting his match in his longlost daughter who's now all grown up. Utilizing the 3-D technology of the early '90s, the movie ends with the complete destruction of Freddy Krueger, keeping the character out of theaters for over a decade until his big screen battle with Jason Voorhees. Like many horror movie sequels, the movie was met with a lot of criticism upon its release, yet it has built a cult following in subsequent years. One can assume that if A Babysitter's Guide to Monster Hunting is a hit for Netflix, sequels are not out of the question. There will be two more books to draw inspiration from for any potential follow-up movie, after all. With Talalay on board, we should expect to hear more updates on the project soon, such as casting news and a potential release date. This information comes to us from Deadline.